When the Yooka-Laylee Kickstarter first, uh, well, kicked off, the game was slated to come to the Wii U as well as other systems. The only problem was that by the time the game actually shipped, Nintendo and the rest of the gaming world had moved away from the system, shifting to the Nintendo Switch. Specifically, it wants to bring back the style of gameplay popularized by everyone’s favorite bird and bear. The new duo is an Iguana and Bat and features the same collect-a-thon style of gameplay that has been missing from the industry for a number of years. 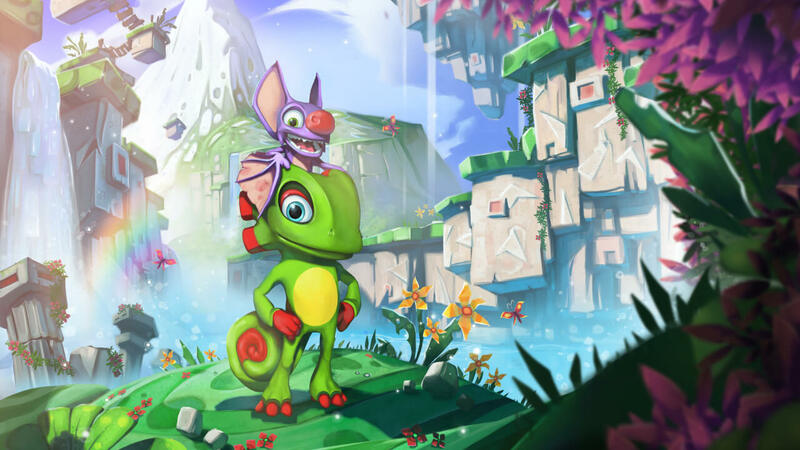 Yooka-Laylee’s release on the Switch will not only give it a new platform to conquer but will add another great platformer to the Switch’s constantly growing library. It will be a straightforward port, which is most likely for the best, as it will allow the game to succeed in its gameplay alone. The game was released to mostly positive reviews. Many stated that while it was reminiscent of Banjo Kazooie, it doesn’t reach the height of those titles. The Switch version won’t benefit from any changes, but it does seem like a game that is perfectly suited to portable play. In our review, we praised the writing and colorful world but were less happy with the way the game controls. Despite several flaws, we were otherwise very impressed with the game. Yooka-Laylee will release on the Nintendo Switch on December 14.